There was tons of hype for this book, and my expectations were set pretty high. I'm incredibly glad to say that I was in no way disappointed. Paranormalcy is plain awesome. The story sucked me in and spat me back out, leaving me breathless with anticipation for a sequel. I absolutely adored the main character, Evie. Spunky and witty, she had me laughing out loud in even the most serious of moments. I also love how normal she is. Sure, her life is a little on the weird side, but she still falls prey to regular teenage insecurities. While Evie is quite stubborn, she does not take it to the point of being ridiculous or annoying. I couldn't have asked for a better protagonist. There are no superfluous characters here. Every person or creature is developed and serves a major purpose. I couldn't help but become attached to all of them. Even the annoying characters added to the fantastic plot. For the first time in a long time, I was not able to predict anything about the story. It was amazing to be dragged along head first with no idea where the tale was heading. Lend was amazing, and I fell in love with him the moment he entered the story. I loved that he was so unique, unlike any of the typical vampire or werewolf love interests found in teen books today. It was fascinating to learn about both his personality and his supernatural capabilities. 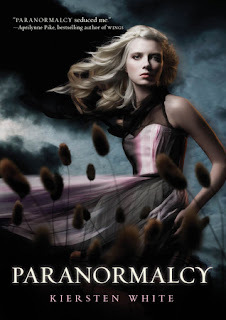 Overall, Paranormalcy was a gripping, original tale. Everything about it was captivating. I spent an entire day devouring White's words and squealing when I crossed a romantic scene. If you haven't already, I recommend that you read it. NOW. Great Review. I've actually read this book before and just recently bought a copy for myself. 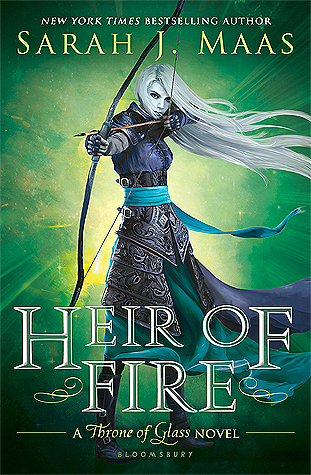 I absolutely loved the characters and story line and can't wait for the next one in the series! We are about to read this book in my book club in June... can't wait!